Genesis, with 68 problems reported per 100 vehicles in the United States and in just its second year as an independent brand, jumped to No. 1 in J.D. Power's study of 2018 new-vehcle quality. 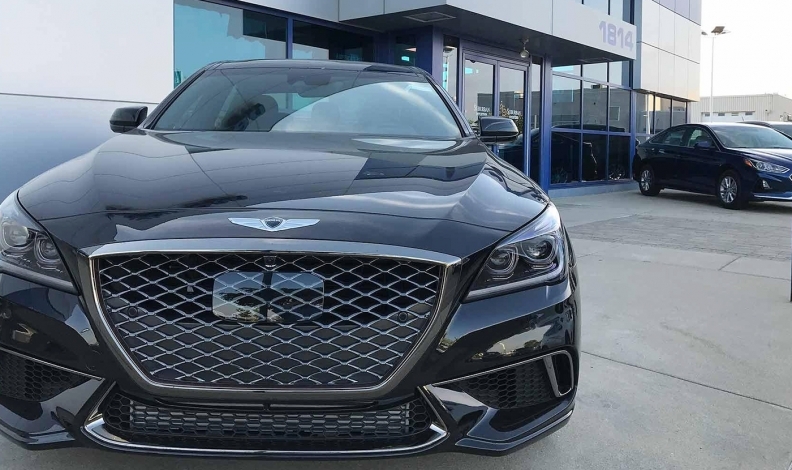 Winnipeg’s Murray Automotive Group is Canada’s newest Genesis distributor, with Genesis Winnipeg launching July 4 due to demand for the luxury brand. The prairie city wasn’t supposed to have a Genesis presence until 2020, but Richard Eccleston, general manager of Genesis Winnipeg, said studies suggested higher-than-expected demand for the brand, based on traffic on the carmaker’s Canadian website and sales of the previous Hyundai Genesis models. Genesis, the luxury offshoot of Korean carmaker Hyundai, employs an unconventional business model, with customers never needing to set foot in a dealership. All sales are direct from Genesis Canada online, and test drives and servicing is all done with valet service to customers’ homes. Eccleston said Genesis Winnipeg, which currently has five employees, is planning to open a bricks-and-mortar dealership, as is eventually expected of all “agencies,” the word the automaker uses to describe its outlets. For now, the company is using Murray Hyundai for all servicing. Details on timing or location of the actual store are not set. Also in the works for the city is a boutique “Genesis Experience Centre” in a city shopping mall. Genesis operates three such centres — two in the Greater Toronto Area and one in Laval, Que. — which serve to offer a hands-on experience to customers while exposing the brand to those who may not be currently shopping for a vehicle. Patrick Danielson, national manager of product strategy and public relations for Genesis Canada, said Hyundai dealers are chosen to be Genesis agencies based on population and on meeting requirements for sales volumes and customer satisfaction. Genesis has three models — the $42,000 G70, $55,000 G80 and $84,000 G90 — and will launch the first of two SUVs next year, with another SUV and a coupe to follow by 2021.